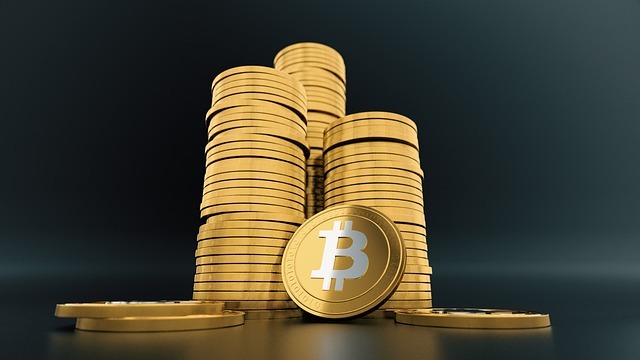 The blockchain and cryptocurrency world provides quantifiable proof that open source can both help and hurt a project’s likelihood of financial success, according to Early Evidence on the Role of Disclosure in the Unregulated Crypto Market, which quantifies the success of 776 initial coin offerings (ICOs) attempted through February 2018. Blockchain projects that post their code on GitHub are more likely to use ICOs in order to collect monies by selling “tokens” to pay for development. First the good news. Half of the projects that successfully completed an ICO had disclosed source code via a code repository like GitHub. Only 15 percent of the “failed” token launches used something like GitHub. Note that the study excluded at least a thousand other blockchain projects that were announced but never matured enough to be taken seriously. Furthermore, although some analysts claim that most blockchain projects on GitHub fail or are inactive, the success/failure rate for these projects are similar to other open source projects. Overall, GitHub use is associated with projects that are more willing to disclose information about their activities and face public scrutiny. 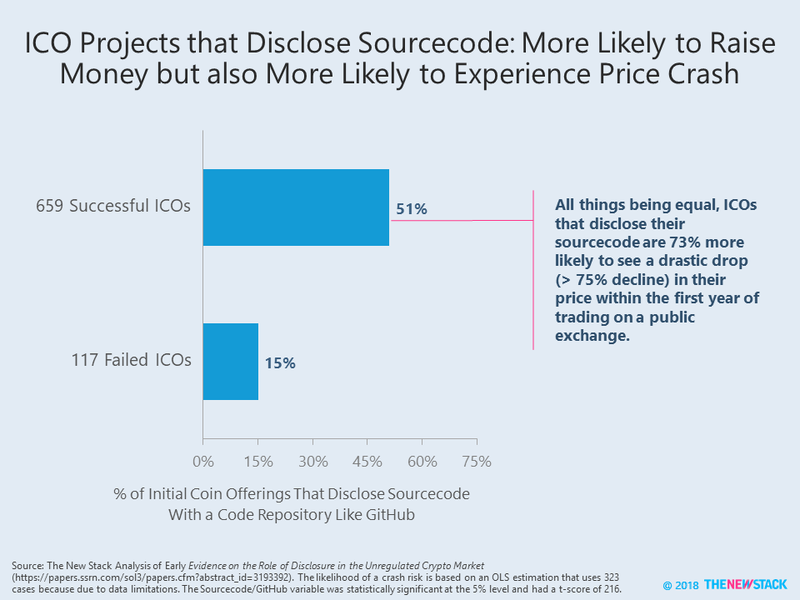 Projects that reveal source code are significantly more likely to see a “crash” or a price drop at least 75 percent in the first one, three or twelve month period after the ICO’s token is listed on an exchange. These crypto exchanges are only slightly comparable to regulated stock exchanges. That being said, they have been used as a way to assess a project’s value and future earnings potential. In other words, for young tokens, there is a quantifiable risk of an open source fork. The ability to create a hard fork means that a project’s success has less to do with core intellectual property and more to do with a community’s health and execution. There have been many efforts to use detailed data about open source project health and GitHub activity levels (like what the Linux Foundation’s CHAOSS community is working on) to predict the success of an ICO, but we have yet to see a robust model with any predictive power. Continue to be skeptical of crypto-induced mania, but keep in mind that open source is at the core of both distributed and decentralized ecosystems. It is an open question of how to capture intellectual property’s value and pay for developers’ time are key to making open source sustainable promoting successful open source business models. While corporations and individuals fund projects directly and through donations (e.g., Patreon), self-organizing projects are becoming a viable component to open source governance and funding.